Celebrate the Bounty on the Bays! 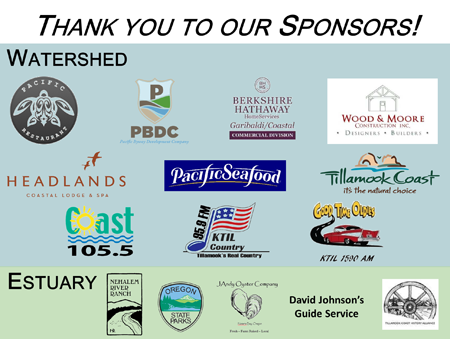 Join us as we kick off an entire year of celebrating the 25th Anniversary of Tillamook Bay's designation as a "Bay of National Significance. 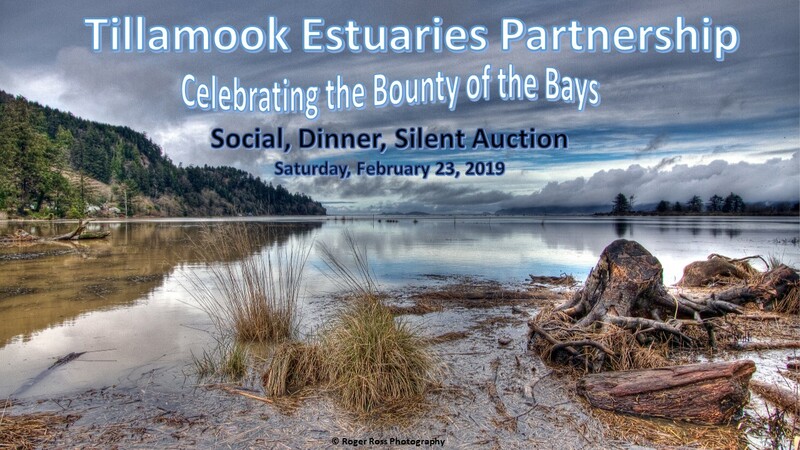 Be a part of Tillamook Estuaries Partnership’s 25-year journey to support clean water, abundant wildlife, and vibrant communities. 5-7:30pm Social Hour w/Trivia, Locally-Sourced Surf & Turf Feast, and Silent Auction - Ticket price includes two beer/wine coupons per person. Click here to get your tickets.